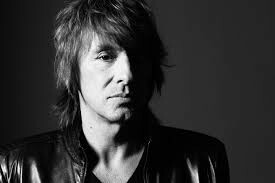 Rocker Richie Sambora has launched a mobile app that allows users to share photos and news to help raise money for charity. The former Bon Jovi guitarist co-founded Csnaps.org, a platform where fans and celebrities can share photos, videos, news, and personal stories. Sambora was inspired to create the app after learning how lucrative celebrity pictures can be. Through the app, users can pick three ways to donate to charities: the Fan CSnap, the Verified Celebrity Csnap, and the Inspirational CSnap. Fans are also able to take a picture with a celebrity using the app for a small fee and the money goes to charity. “By using Fan Csnaps, you get a picture with your favorite star and money goes to help good causes and those in need, so it’s win-win for everybody,” he says. The app also gives celebrity users a platform to make announcements and share breaking news in support of their charities. Charities benefiting from the app include The Humane Society, PETA, Smile Train and The ALS Association. In addition to the new app, Sambora performed at the Barnstable Brown Gala at the Kentucky Derby on Friday (May 5). He auctioned off a “one of a kind” guitar to raise money for Barnstable Brown Diabetes and Obesity Research Center at the University of Kentucky. The rocker’s girlfriend Orianthi also performed alongside Sammy Hagar and Travis Tritt. “My idea this year is to invite all the artists to play this one-of-a-kind, stunning instrument and autograph the back when finished,” a statement from Sambora adds. “This way the bidding can go on all night long while all of us can leave a little bit of love behind on that six string. “I’m sure after Orianthi, Sammy Hagar, Kid Rock, Travis Tritt and all the other talented musicians give it spin, the value and auction donation will be the highest to date."